​Cat lover...dog lover...the beach...The mountains...andalucia...childrens 1970s tv characters...Photography...Picasso...Modigliani...Julie Arkell...John Maltby...lost and found...long walks...open fires...bell tents...buttons...bottles...broken china...old movies...quirky people...wabi-sabi...good wine...sharing food...friends...family...music festivals. Please feel free to contact Charlotte regarding commissions, exhibitions or any of the work you have seen on here. 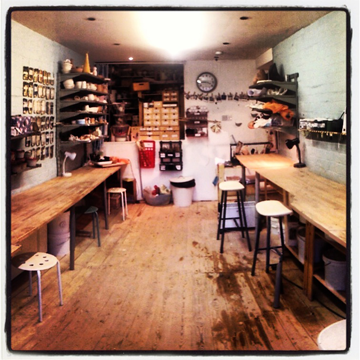 If you are interested in pottery classes, make sure you have had a look at the Eskimo Blue site first.